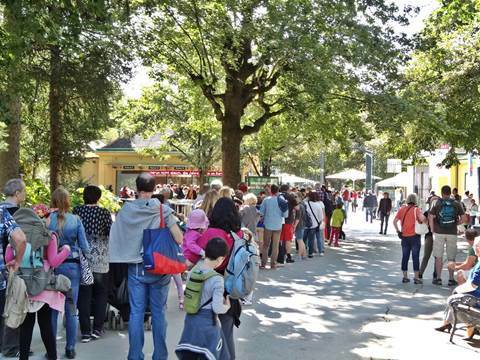 At weekends and during holidays it is likely to face long queues in front of the entrance barriers. 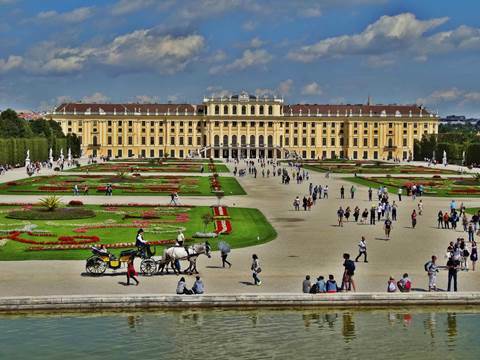 With an online ticket you normally will be able to save some of the waiting time, which then can be invested in other sights of Vienna. The negative point about it is that you need to purchase the online ticket with a specified time and it is only valid at that time. 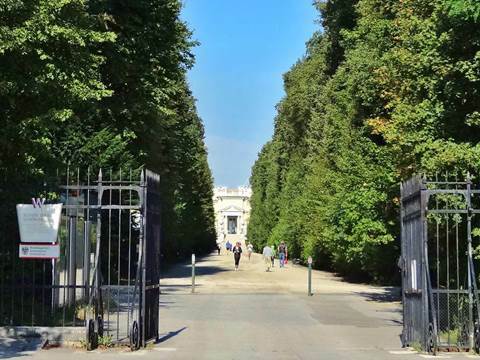 For all who like walking it is quite easy to reach all the interesting destinations in Schönbrunn Vienna without problems. The climb up to the Gloriette on a hot Viennese summer day can be a bit exhausting. The major part of the palace gardens with the attractions is on the same height level as the palace. 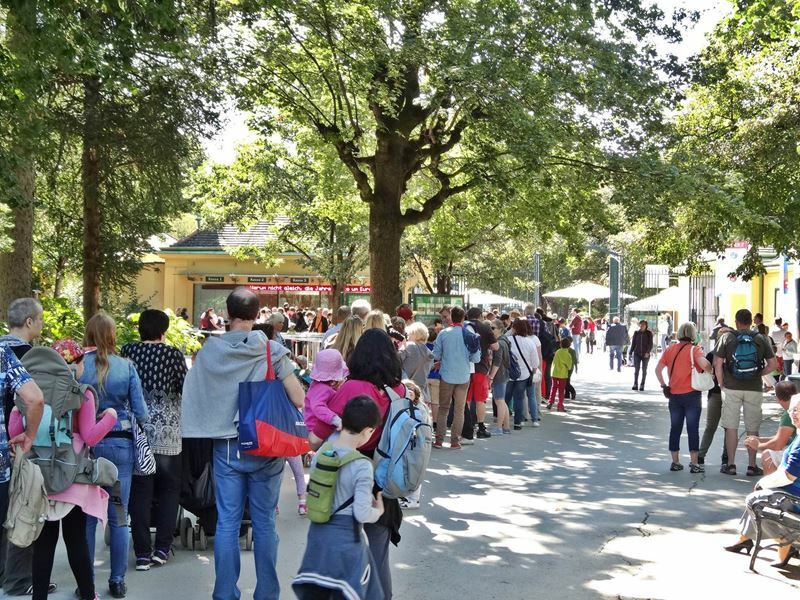 Those who want to avoid the climb up to the Gloriette can come with the bus 8A to Schönbrunn. 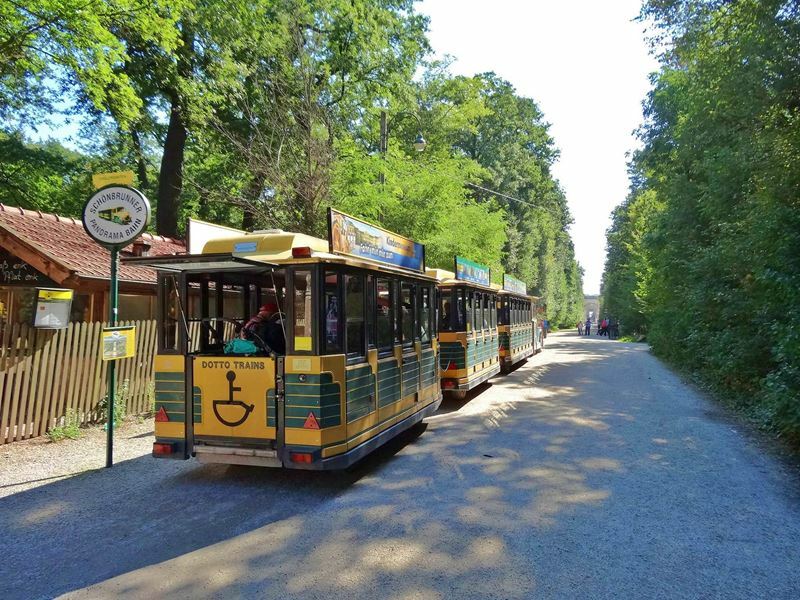 The bus departs from Meidling and stops at the station Stranitzkygasse. This station is located in the Hohenbergstraße, which leads directly to the Maria Theresia gate. The gate is on the same height level as the Gloriette. 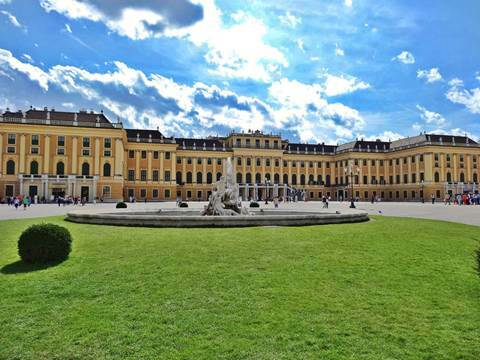 Now nothing stands in the way to plan your individual route through Schönbrunn in Vienna without climbs. 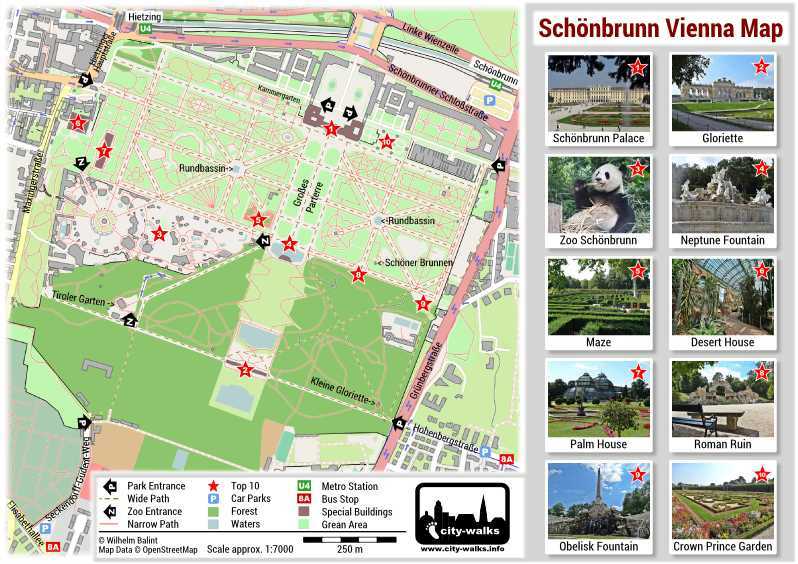 Simply use the Schönbrunn Map from city-walks. A path beside the Neptune Fountain leads to his back side at roughly the same height level as the rock formation with the sculptures. 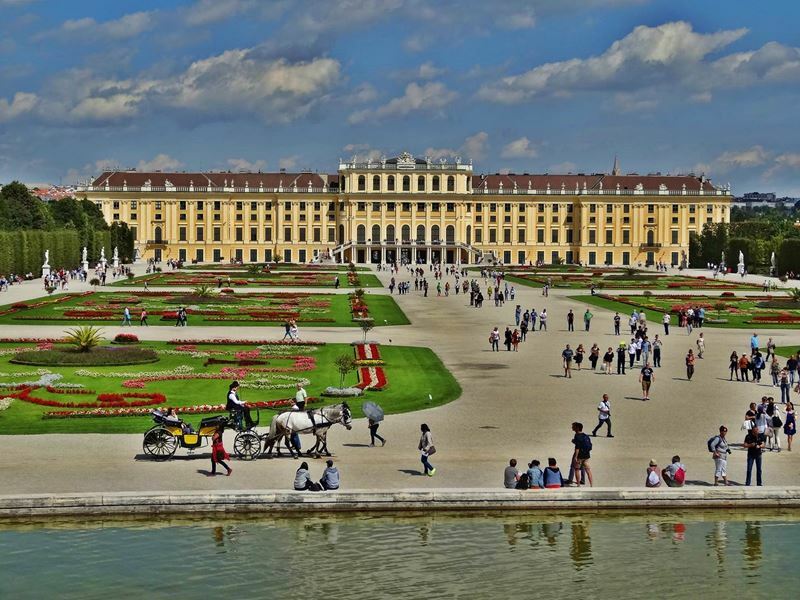 There you will find two viewpoints, which are perfect for taking a picture of Schönbrunn Palace with the splendid flowers in the front. Directly at the palace on the gardens side, steps lead onto a terrace. From there, you have an excellent perspective at the cleanly designed flower beds in the Great Parterre, the Neptune Fountain and the Gloriette on the hill. The parking situation around the palace gardens is quite critical. 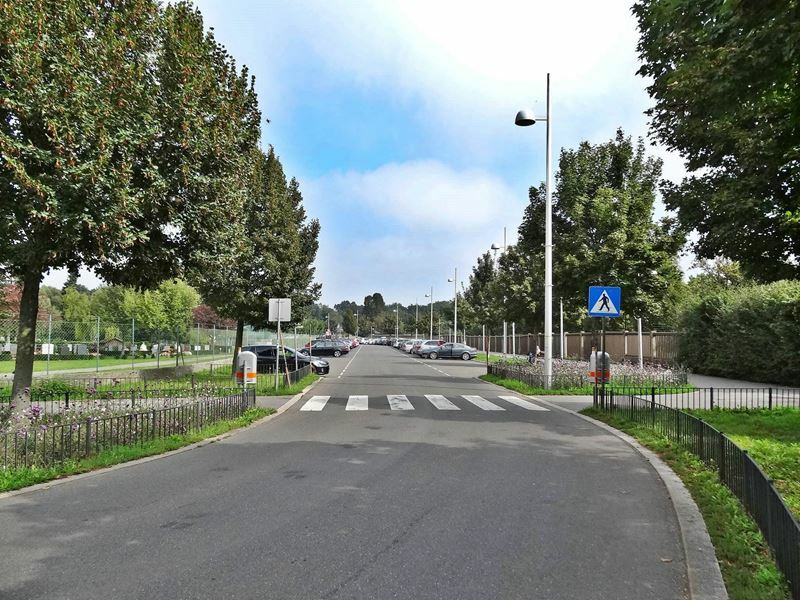 Free parking possibilities are available at the Seckendorff-Gudent-Weg. But this parking area is usually already crowded in the late morning. In the Hohenbergstraße, the parking is free on Saturdays, Sundays and public holidays. 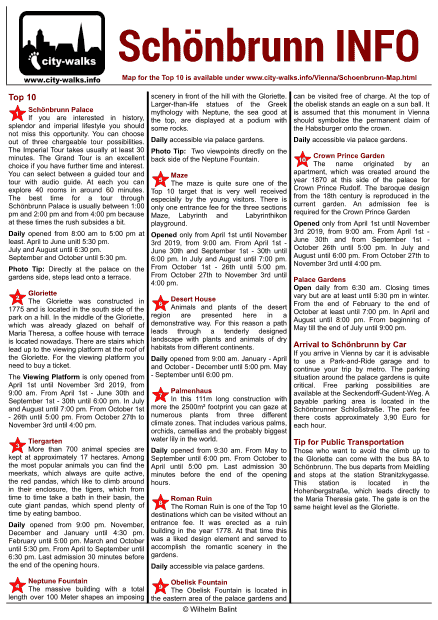 Monday to Friday there is a chargeable short-term parking zone with a maximum parking time of three hours. A payable parking area is located in the Schönbrunner Schloßstraße. The park fee there costs approximately 3,90 Euros for each hour. 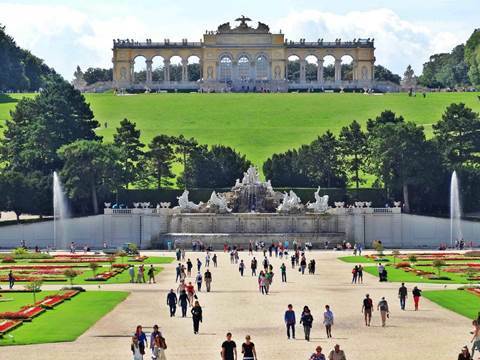 If you arrive in Vienna by car it is advisable to use a Park-and-Ride garage and to continue your trip by metro. 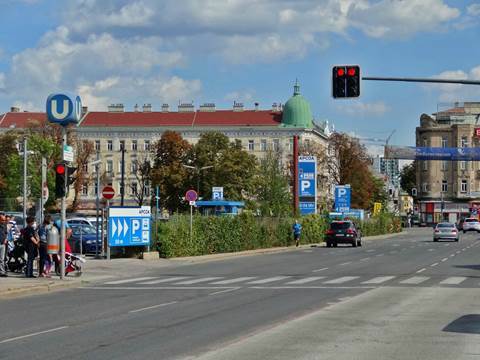 The costs for parking in a Viennese P&R are approximately 3,40 Euro per day. One possibility is for example, the Park and Ride in Erdberg with direct access to the U3 metro. This cheap solution will save quite a bit of stress upon arrival. 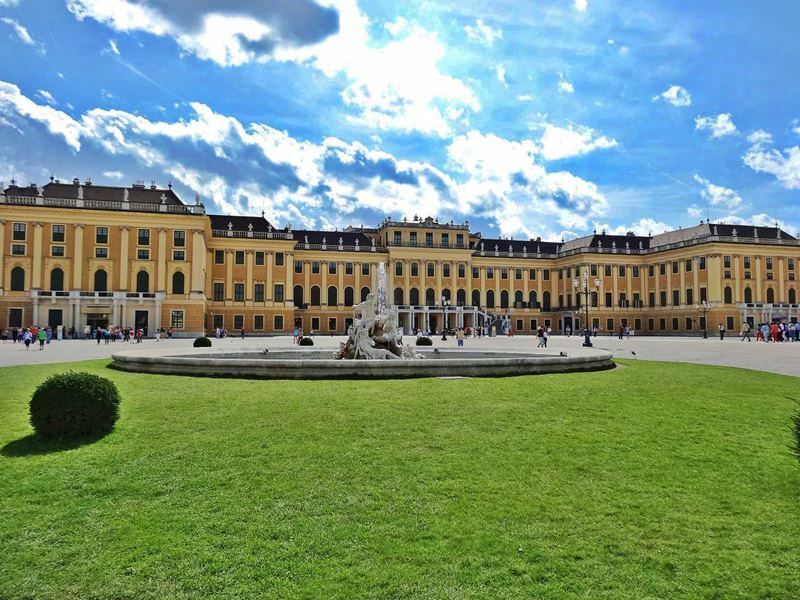 You can find the mentioned parking possibilities around Schönbrunn in the city-walks Schönbrunn Map.